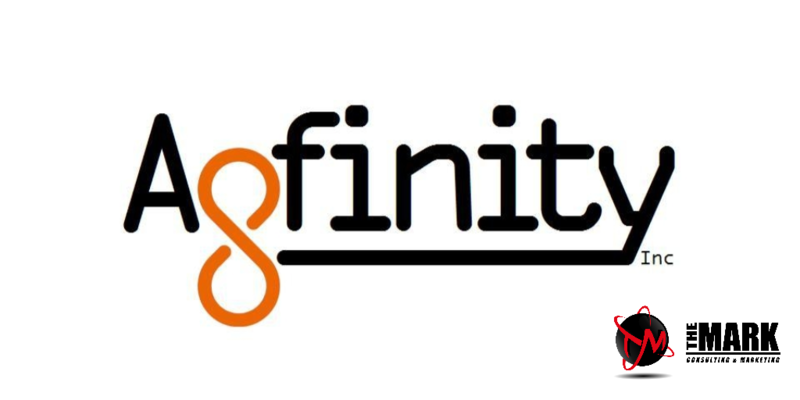 The Mark Consulting is very proud to announce its new partnership with Agfinity, one of Canada’s leading grain brokers. Agfinity has been in the business for over seven years, and is based in Stony Plain, Alberta, just a few blocks down the street from the childhood homes of its founders, General Manager Joseph Billett and Trade Manager Jared Seitz. “Agriculture is such a vital part of the economy for Alberta and all of Canada, so it is with great pride that The Mark Consulting has joined forces with Agfinity,” said Mark Pavelich, President & CEO of The Mark Consulting. Agfinity was in the market for a company that could help connect with current and potential customers, and the enthusiasm that the team from The Mark showed in its presentation made the deal a must-do arrangement. “The Mark Consulting is obsessed with succeeding for its clients. We could not argue with that passion, and had to hire them immediately,” said Seitz. “To be a successful grain brokerage, your team needs to spend its time brokering grain, and because of that, it leaves very limited time to engage in viable means of prospecting like social media. That’s where The Mark comes in. “Our image and storefront have been left stagnant for far too long, and we believe The Mark is going to help the world see Agfinity in the way we’ve always intended to be seen,” added Seitz. Along with Joseph and Jared, Agfinity’s team, which includes Amy Billett (Finance), Michelle Seitz (Administration), and Grain Brokers Tracy Green and Lisa Granquist, are ready to move forward from a very busy 2016 harvest into the new year. Agfinity also utilizes numerous contractors, programmers, and analysts in order to improve its customer service. The grain brokering business is all about building strong customer relationships. By making significant inroads in the grain brokering industry since its inception, Agifinity has provided customers with ever-increasing exposure that has resulted in ample trading opportunities for buyers and sellers alike. Farmers are invited to list their grain for sale on Agfinity.com, with asking prices based upon pick up on the farm or delivered to one of many feedlots, mills and terminals throughout the Prairies. Qualified buyers then place their bids, which are brought back to the seller, and negotiated upon until a deal is struck. Agfinity specializes in getting farmers above average prices for feed barley, feed and milling wheat, oats, peas, and canola, and is also regularly trading other pulses such as oilseeds, lentils, and mustard. “If it grows out of the ground, and we have a buyer for it, we’ll market that too,” added Billett.